The Summerhouse Gallery has recently opened its doors again ahead of an exciting 2019 and is showing work by current Krowji tenants Mike Hindle and Imogen Bone. The gallery is delighted to be showing a brand new body of work from Krowji-based painter Mike Hindle. 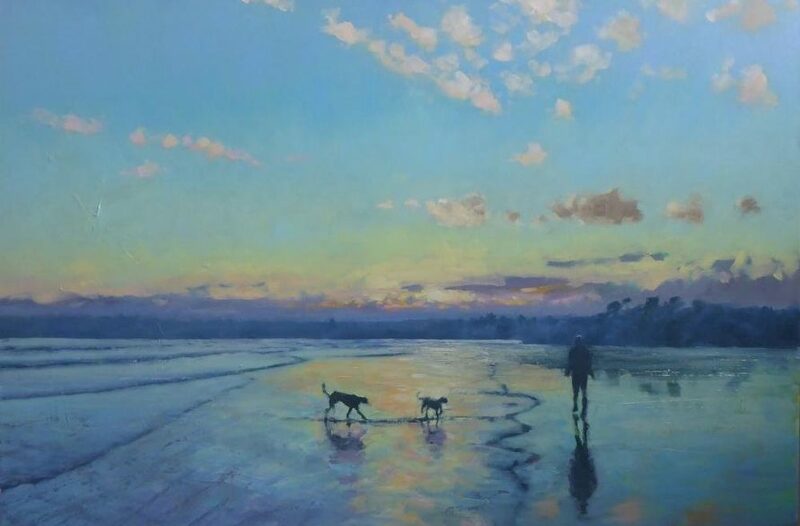 In these most recent large works; Mike has captured winter skies filled with the promise of spring over some of West Cornwall’s most beautiful beaches. Fellow Krowji tenant Imogen Bone has created works on paper which are full of life and energy and her distinctive dynamic brush stroke.